i'm nowhere near ready to write this post but it needs to happen so here goes. about two weeks ago we had to help merle along to his next journey. his wake has left an enormous hole in our family and an even bigger one in my heart. merle was one of the goofiest, stubborn and habitual beings i’ve ever had the pleasure to spend a part of my life with. he was goofy and loving in an oddly reserved way…like he wanted to love us but didn’t want us to know he loved us (but we knew). he always did just what he wanted and if it happened to be something we also wanted him to do he made sure we didn’t get too cocky about it by making us guess whether he was going to listen before he clearly listened. i thrive on rituals, continuity and traditions so his routine-based behaviors were one of my favorite things about him…besides his dreamy good looks. once you did something with merle you had to always do it. when we’d come in from the walk he’d jam his head between my legs because that’s when his ears got pet, after breakfast he’d run to the kitchen counter because that’s when he got his coconut oil…every day there was a little list of things that had to happen for him and if you forgot (which because of my nature rarely happened) he’d be sure to remind you. he was authentic, he was beautiful inside and out, he was wonderfully odd and he spoke to my heart in my heart’s native language. i miss him and his beautiful soul so much and i’m grateful to have shared the time i did with him and that he is no longer in pain. it was a privilege to be holding him in a full body hug when he left us. i have been struggling with merle’s loss not just because of the loss of him but the loss of my last living irish wolfhound. i’ve been working to try to figure out my feelings and to honor what wolfhounds are to me without mitigating in any way what/who merle was to me because those are two separate things. i don’t think i can explain it in any sensible way and i feel a bit embarrassed and guilty but the simple fact is that irish wolfhounds hold a very special and significant value to me and i don’t feel quite right without one. 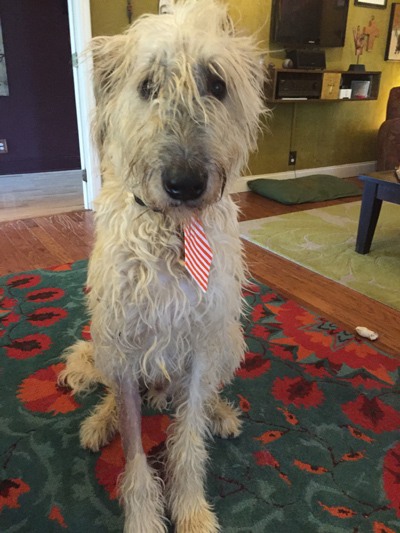 i love all dogs and i will welcome anyone into my home and love, value and take care of them but at least one of them needs to be an irish wolfhound. i wish i could put into words their intrinsic value to my soul…maybe they are just my tribe and i’m great without my tribe but i’m more whole with it. 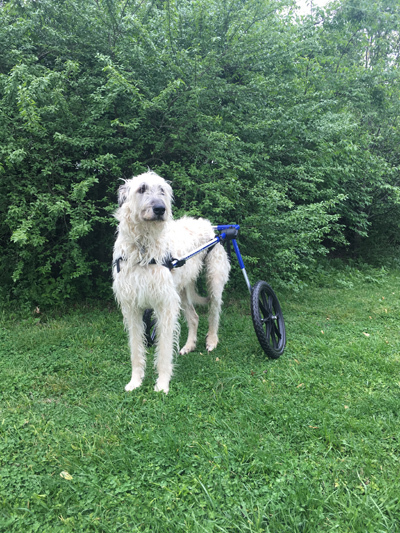 i’m also struggling with the fact that wishing for a wolfhound to join our family is basically asking for a wolfhound to be in trouble or in need of rehoming which doesn’t feel great. so to recap i’m basically in the midst of an existential crisis and a big mess of emotions and judgement. 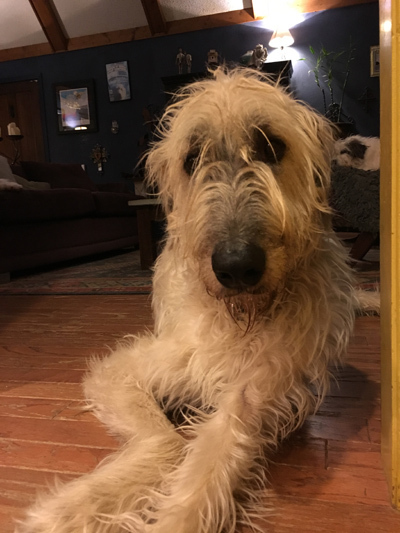 if you’re aware of any needy wolfhounds please keep me in mind… i’ll move mountains to love and have one be loved again. and little lambs eat ivy! sail on my sweet merley! Beautiful tribute! He was so lucky to have you in his life!